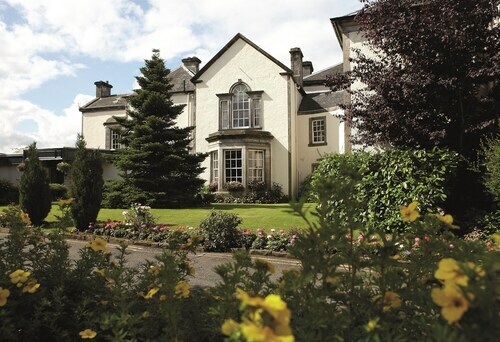 Situated in Dunfermline, this hotel is 2.2 mi (3.6 km) from Dunfermline Abbey and 2.4 mi (3.9 km) from Pittencrieff Park. Dunfermline Golf Club and Yellowscott Country Park are also within 6 miles (10 km). Dunfermline Queen Margaret Station is 14 minutes by foot. 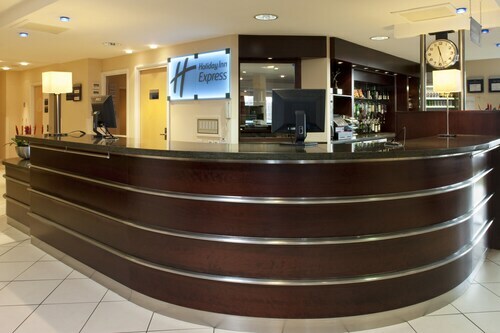 Situated in Dunfermline, this hotel is within 3 miles (5 km) of Deep Sea World, Forth Road Bridge and Port Edgar. Forth Rail Bridge is 2.8 mi (4.6 km) away. Dunfermline North Queensferry Station is 17 minutes by foot. 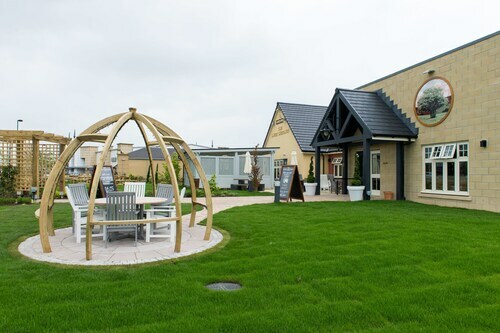 Located in the heart of Dunfermline, this spa hotel is 1 mi (1.6 km) from Dunfermline Golf Club and within 3 miles (5 km) of Pittencrieff Park and Abbot House. Dunfermline Abbey and Andrew Carnegie Birthplace Museum are also within 3 miles (5 km). 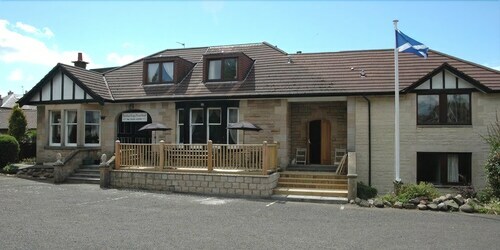 Situated in Dunfermline, this inn is within 6 miles (10 km) of Dunfermline Abbey, Pittencrieff Park and Dunfermline Golf Club. Deep Sea World and Yellowscott Country Park are also within 9 miles (15 km). Dunfermline Queen Margaret Station is 30 minutes by foot. 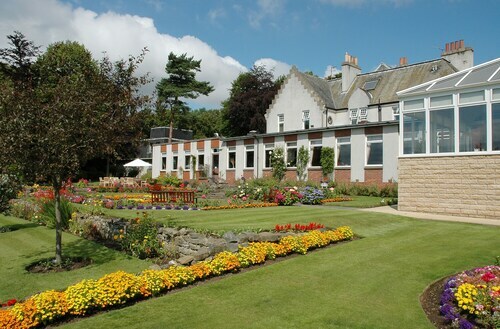 Situated in Dunfermline, this hotel is within 1 mile (2 km) of Dunfermline Golf Club and Pittencrieff Park. Abbot House and Dunfermline Abbey are also within 2 miles (3 km). 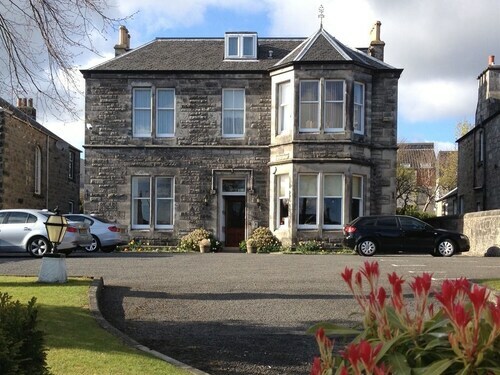 Situated in Dunfermline, this hotel is within a 10-minute walk of Pittencrieff Park, Abbot House and Dunfermline Abbey. Andrew Carnegie Birthplace Museum and Dunfermline Golf Club are also within 3 miles (5 km). Dunfermline Town Station is 16 minutes by foot. Situated in the suburbs, this eco-friendly hotel is 1.3 mi (2.2 km) from Dunfermline Abbey and 1.9 mi (3.1 km) from Pittencrieff Park. Deep Sea World and Dunfermline Golf Club are also within 6 miles (10 km). Dunfermline Town Station is 22 minutes by foot. 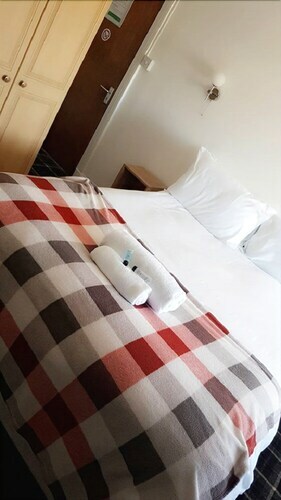 Situated near the airport, this hotel is 2.4 mi (3.8 km) from Deep Sea World and within 6 miles (10 km) of Dunfermline Abbey and Port Edgar. Pittencrieff Park and Forth Road Bridge are also within 6 miles (10 km). Dunfermline Inverkeithing Station is 5 minutes by foot and Dalgety Bay Station is 26 minutes. Situated in a rural location, this luxury bed & breakfast is 2 mi (3.2 km) from Yellowscott Country Park and within 6 miles (10 km) of Knockhill Racing Circuit and Abbot House. Pittencrieff Park and Andrew Carnegie Birthplace Museum are also within 6 miles (10 km). So, you're thinking about a trip to Dunfermline? If you'd like to find accommodation that's within a stone's throw of the sights, you can enter your holiday dates and then use the filters beside your hotel search results to find somewhere to stay near the area's attractions. 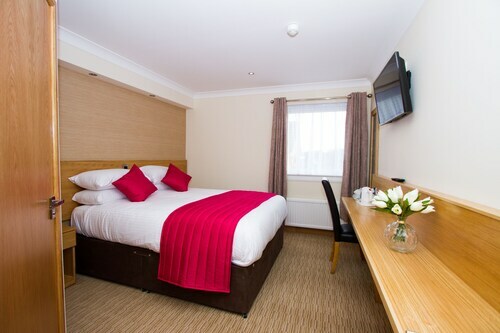 You can choose among 25 Dunfermline hotels and accommodation choices to find a place to stay. 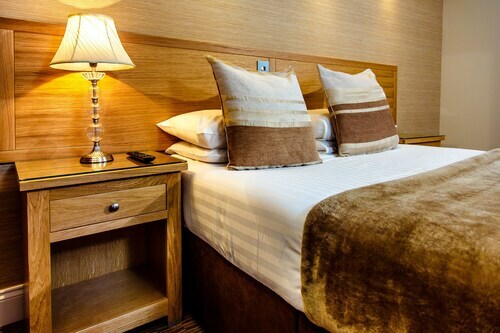 When you're thinking about where to stay in Dunfermline, you can easily and quickly search ebookers for hotels offering services such as high-speed Internet, a swimming pool or free airport transport. You can take advantage of the filters to narrow down your search for accommodation, so you get the services that are important to you, such as an in-room kitchen or air conditioning. When making plans for your trip to Dunfermline, you can also use ebookers to find a convenient flight to Edinburgh (EDI) Airport. You can narrow down your search by number of stops, airline or departure time to find the one that'll meet your needs. When is the Best Time to Explore Dunfermline? If you're curious when is the best time of year to travel to Dunfermline, you might find this info about seasonal weather helpful when you are organising your getaway. The warmest months in Dunfermline are typically July and August, whereas the coldest months are usually February and January. The months with the most rain are August and February, whereas March and February have the least. From January to March, the average daytime temperature is 9°C and at night it is 1°C. Seasonal average rainfall is 5 mm. If you visit between April and June, you can expect an average temp of 17°C during the day and 3°C at night. Average rainfall during this season is 6 mm. The daytime average temp from July to September is 18°C and the nighttime average is 8°C. Average precipitation for this season is 7 mm. Average annual rainfall in Dunfermline is 24 mm. The location couldn`t have been better. Everything about the hotel was really good. Couldn`t fault a thing. Right next to the abbey, the park and the shops.Thumbs up. I had the best experience in The Gothenburgh Hotel. Needed to stay overnight near our office and a place to store my bicycle overnight. The staff was the most helpful and kind. I had the full attention of everyone working that night and I felt very welcome. I will definately be going back. The dinner was also excellent = had a cullen skink in a bread bowl - highly recommend! The room was beautifully prepared and clean. The same bathroom. 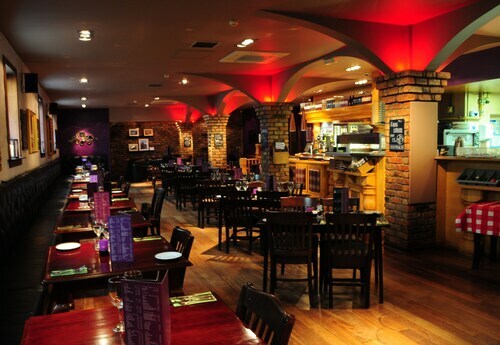 The staff are friendly and make you feel welcome. Pool is nice too. We stayed in late December 2017 into January 2018, the room was spotless, Tina on reception was caring and helpful and took time to get to know her customers - Nothing was too much trouble - Would definitely recommend to others and we WILL stay again in the future. Well done Holiday Inn - see you again soon! 4.0 Lovely welcome, Nothing too much trouble. 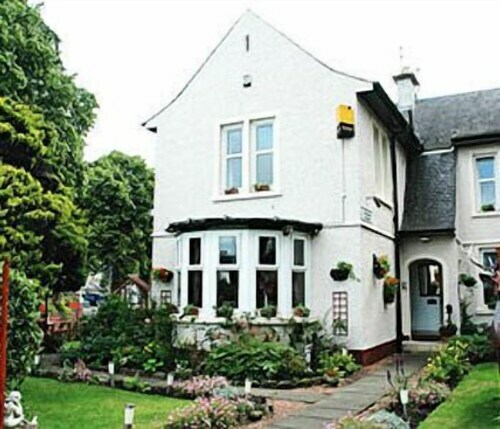 I stayed at the Davaar House for two nights whilst in Dunfermline for work. The welcome was great, even though I had been delayed and did not arrive until 9pm. The breakfast in the morning was faultless. A choice from Fruit to cooked breakfast. All fresh. I booked the single room which was a little small and dated. It could do with the carpet and furniture brightening up. Having said that, the room was spotlessly clean. This En-suite was again, small but spotless. The locality was about 10 minutes walk from shops and a good choice of restaurants. We stayed for one night in mid August. Quick & easy check in. Our room was on the first floor and overlooked someone's garden, it was very quiet at night. The room had tea/coffee making facilities, trouser press, iron and ironing board, hairdryer and a good working tv. There were lovely thick fluffy towels in bathroom. We had a bar supper at the hotel which was served quickly, it was very tasty and restaurant staff were pleasant & attentive. There is a T esco express along the road. Not far from town centre - we did drive. Convenient for Edinburgh. If in the area again I wouldn't hesitate to stay again.